Let’s start at the top left. The classic L&D sector is the blue box of competence building activities. Here I’d suggest one would place activities described in the post Multi-Layer Learning, i.e. not only formal ones like classroom training but also informal stuff like communities, role-modeling and databases. And yes, by saying that the top blue box is the classic L&D sector I also say that L&D often doesn’t do anything else of what’s shown in the model above. 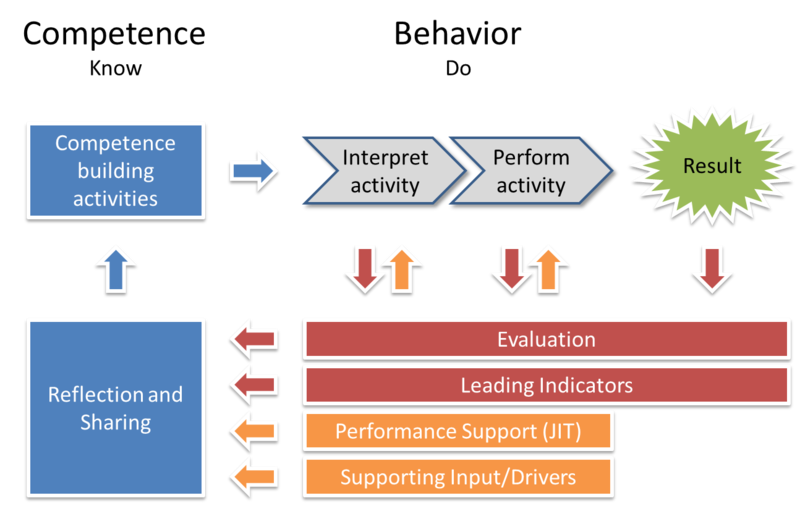 This model is more applicable for a department working as a Knowledge and Performance Partner than that of a Learning and Development department.